DOES CULTURAL APPROPRIATION HAVE LIMITS? 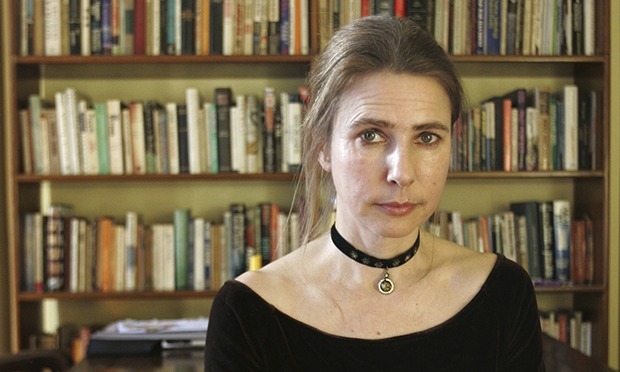 Fiction writer Lionel Shriver believes it does but the blowback doesn't. We know this kind of appropriation. Dressing up as caricatures and acting in stereotypical ways, is a definite no-no. But are there cases where cultural appropriation need not apply? Does cultural appropriation have LIMITS? In her keynote speech during the Brisbane Writer's Festival, author Lionel Shriver argued that "fiction writers should be allowed to write fiction — thus should not let concerns about “cultural appropriation” constrain our creation of characters from different backgrounds than our own." Some examples of when "CA" was used for the purpose of fiction. Recognize any? She goes on to cite influential works by Matthew Kneale, Maria McCann, John Howard Griffin, to name a few. Had these authors not written because of fears over CA, as Shriver argues, the literary world would be without some eye-opening pieces of work that have lent insight to communities and experiences of others. Whatchya'll thinking so far? Have you been feeling Shriver's point? It kind of makes sense... right? Until it didn't. Enter in viral clapback here. Yassmin Abdel-Magied, also an author, had attended the keynote speech but walked out after just 20 mins of it, saying that Shriver's presentation "was a monologue about the right to exploit the stories of “others”, simply because it is useful for one’s story." And the gloves are off. In her article posted in the Guardian, Abdel-Magied went on to say that Shriver's speech "was a poisoned package wrapped up in arrogance and delivered with condescension." Before mentioning that Shriver's keynote encapsulated the same rationale given for imperialism and colonialism.... OUCH. In a conversation that has spawned a back and forth between the two authors which has gone viral, having been liked and shared thousands of times, the original question still remains: Can cultural appropriation be applied to a world of fiction? And if so, what are the implications? One main argument in support of Abdel-Magied's point is the idea that if you overlook the implications of writing another person's story, without so-called permission or consultation, you risk encouraging the status quo. The precedent for which has always been white writers having permission, access, education, and the means to write whatever they want, however they want, and profit from it. While some of the characters that they may be writing about would've never be afforded those same privileges in real life. But what about Shriver's point? She does make a valid case. In a society where we strive to equal the playing for everyone, to what extent should we censor (if at all) an author's creative freedom in order to liberate another? Is there a balance? Can we all get along? Ultimately, this conversation has been hotly debated for years and doesn't seem to have a concrete or universal answer. Despite this topic's complicated nature, one thing is clear, that everyone has the right to freedom of expression, and as such Shriver should be able to write what she wants. But the take away is this: at the end of the day, regardless of race, creed, or background, authors just want to write and write well.